Home Business How to Deposit and Withdraw with Eazibet. Deposit and Withdraw with Eazibet. We have 3 options: Bank Transfer, FNB Instant Cash eWallet Services or the ABSA 24hr Cash Withdrawal option. To make a withdrawal, start by logging into your Eazibet.co.za account. Select your preferred withdrawal method. For the FNB and ABSA methods, you do not have to bank with either to use this service, just make sure you are registered with a valid RSA ID number. We may need your FICA documents or you’ve reached the daily/monthly limit for the ABSA and FNB withdrawal methods. 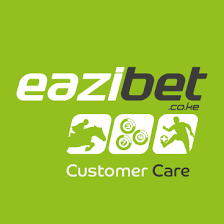 If requesting withdrawal to your credit card, Eazibet will charge a 5% administration fee. When using the FNB and ABSA withdrawal options, a charge is levied by either bank to use their services. If you haven’t been FICA verified yet you will not be able to withdraw funds. Previous articleHow to cancel any Bet on Sportpesa. Next articleHow to Download and use Swvl.